All aides are very sweet and caring. Ruby and Althea are outstanding and go above and beyond! Some of the other aides seem less confident to physically assist. Also, other aides have left the room. I know I was there but I assume they do the same when I'm gone. The service was very good, very caring, very nice people, and polite. The caregivers did a great job and had a great experience. All good stuff and always did what you said. I have already recommended Right at Home and will use you in the future. The caregiver is very lovely. She is smart, caring, funny and helpful. She thinks of things to help out with even before I ask. It's more than one can expect from a home health aide. The company set the benchmark for others. It has been a wonderful experience from the time I met with the staff member for assessment. I was confident that I would be taken care of. Carol is my regular caregiver and I am very happy with the services that I receive weekly. My caregiver and I get along great. The caregiver was good. He was with us for three or four days and helped us a lot. He spent a lot of time at the house and was very helpful. The caregivers were very good. Very good services and good communication with the owner and the office staff. I would give 20 stars if I could. The caregiver is very good. She interacts a lot with my husband. She gets him to talk and she does things without being told. The staff is very helpful. Right at Home has done a great job. The owner is very nice. The caregivers are very helpful and wonderful. They do a great job. I would certainly recommend Right at Home to anyone seeking home care services. Great job finding me caregivers. Consistent care. Dezinique has been great. She's 5 star. She works hard. Tiffany also does a great job. They are like friends instead of caregivers. The nurse has been with me for a while. She helps me a lot with setting up my boxes and calls my doctors for me. I recommend them to my neighbors. My nurse is so wonderful. She is always on time and she is always smiling. It's like she knows when I need her before I even call! I know I am in good hands with her. Even my doctor was impressed with the wrap she put on my wound! I will always pick Right at Home for care always. I had a good experience. We were very happy with the caregiver. The staff came promptly for the assessment. The caregiver came on time as expected and took great notes in caring for my mother. I would certainly recommend Right at Home to all the residences of Kings Point or to anyone that would need home care services. The girls do great. They manage my medication and there are no problems. They answer my questions and take care of them and my refills for me. I would recommend them. The caregivers have all been wonderful and great. The office staff is amazing and very pleasant! The nurse checked on us after the hurricane and made sure we were okay, which was so sweet. The staff always looks out for us. I would recommend them. Positive. She took care of my husband. She helps with driving and looked after him and gave him lots of attention. Our caregiver, Mary, was very helpful, a self-starter, she didn't have to be told what to do. She was also very attentive. We love Right at Home. It has been a great experience. Our caregiver is very nice, easygoing, friendly, and very caring. We love the staff and the owner. They are perfect! We had several choices for homecare from the rehab center, but we decided to use Right at Home, as the company provides workers' compensation to their caregivers. This will protect us from any liability should the caregiver get hurt on the job. The experience was great. The staff and owners were very responsive. We would highly recommend Right at Home. We will even tell our family doctor and orthopedic surgeon to use Right at Home. My brother-in-law always talked about how wonderful the caregivers from Right at Home are. He was a very demanding person and the fact that he was happy with the service is a testament to the great home care agency Right at Home is. I am grateful that my family member was in great hands. I finally met two of the caregivers and I am so impressed with the experience, knowledge, and kindness. I would recommend Right at Home to anyone. I have had no complaints. The caregivers have been great and helpful. The owner and office staff are great. I would recommend Right at Home to anyone in need of homecare services. The experience with Right at Home was wonderful. The two caregivers who took me to the doctor's appointments are equally professional and caring. I am very happy with the service. They are great. You guys have been phenomenal. You put your customers first and treat them right. You make us feel very comfortable and not shy in being involved in any discussion that the family needs to provide the right care. I don't normally give compliments, but you are doing all the right things and we truly appreciate it. The experience with Right at Home has been good so far. The caregivers are very nice and very respectful despite a very challenging case as my husband is very fragile. The experience with the owner was very good. They are very accommodating. I would recommend Right at Home. Most of the caregivers were very helpful. The office and staff communicate very well and I trust them. I would recommend Right at Home to anyone. The caregiver is very helpful and accommodating. The office staff is very nice and friendly. The owner is very nice, and Shae is a nice young lady. We are happy with the services we are receiving. I would recommend this company to anyone. Thank you so much. We are truly grateful and appreciative of the emergency coverage for my wife and I over the weekend. Your caregivers are wonderful and understanding that provide outstanding service. We will only use you and no other home care companies. Your company is fantastic. We give you the highest rating and would highly recommend you. If I ever got hurt I would call Right at Home to take care of me. I feel so lucky to have your company to help me in a time of need. I have never met so many caring people in my entire life. The company is very good and pleasant to work with. We are very happy with our caregiver. The owners are very prompt and send in our care notes and invoices to the LTC Insurance weekly. This allows us to receive checks from the insurance company regularly. We love the arrangement. We give Right at Home the highest 5-star rating. Very, very good care. Nice caregivers and I'm so satisfied. My mother is very happy with Right at Home and her caregiver. We are happy with the service. I like them 100%. My mother has been very happy with Right at Home and her caregiver is extremely helpful and most importantly very caring. She can be a difficult person to please, but she is very happy with your service. My caregiver is respectful and eager to do a good job and very helpful. My caregiver was very caring and perceptive about my needs and a pleasure to meet. Everything was excellent and I could not ask for a more conscientious service. My caregiver, Helen, is wonderful. She's a hard worker and quite different from anyone I've ever met. The staff in the office is very nice and communicative. She helps with light housekeeping and companionship. Our caregiver Yolanda does a good job and I have no complaints. She does a good job dusting and cleaning. The service is very good. I feel like the caregivers are very helpful and nice especially Mary. She is great at her job and she is very talented and caring. The service is wonderful! If it was on a scale from 1 to 10, I will say 10. All of the caregivers are very nice and helpful and I have no complaints. The service has been very good. I feel that my mother is safe and cared for when using Right at Home. I recommend Right at Home to anyone needing homecare services. Everything good! I could have given 6 stars if it were possible. I am very happy with the service. Jason provides excellent service in a variety of ways. He serves as a messenger, mail boy, placing items neatly in my room, and many other ways too numerous to mention. I had 7 caregivers from Right at Home. They assisted me with transitioning from Whitehall to Stratford Sunrise Senior Living, and then back to my home. They assisted me with cooking, light housekeeping and companionship. It was my absolute pleasure to have met them and spent time with them. I would recommend anyone looking for in-home care to Rght at Home. I trust them 100%. Thank you so much for your patience, care and integrity in the care of my dad, Leslie. I am very appreciative of the time and energy you have put forth to help me with his care. I am very satisfied with the help that your company has provided for me. All of the caregivers have been very satisfying to my needs. I am grateful that they have cooked me wonderful meals and assisted with light housekeeping. I had a wonderful experience with this company. The caregiver Shane has helped me with light housekeeping and organizing. She is the best! The team at Right at Home Boca is wonderful. They have helped my father transition from a Rehabilitation Center to an Assisted Living Facility. The genuine sensitivity from this team is truly warm and accommodating in every way. I really appreciate everything they have done for my father and my family. This company is a lifesaver. They went ABOVE and BEYOND to help our family in our time of need. We were desperately looking for a special food delivery for a sick relative in the hospital. Plus, it was the middle of the night and every other store/service was closed. Right at Home answered my call immediately and were very professional and attentive to my needs, listening to each and every detail of our request. Amazingly, Right at Home was able to locate the food we needed and deliver the meal to the hospital on time. It is so wonderful to know that there are companies out there who are as attentive to customer needs, professional, and caring -- who will come to your rescue when it seemed almost impossible. Our family is so grateful for your help, excellent professionalism and customer service. We would recommend Right At Home to all our friends and family and anyone who wants their loved ones in good hands. They are the most professional and caring company. What a rare gem. They deserve more than five stars!!!! Thank you, Right at Home!! I've only been using Right At Home for a short time but they have gone above and beyond to meet the needs for my mother. Because of our unusual circumstances we have made it a little more challenging than average and they have met every challenge with patience and professionalism. I gave them a 4 out of 5 stars only because our relationship is still new but I think I see a 5 around the corner. 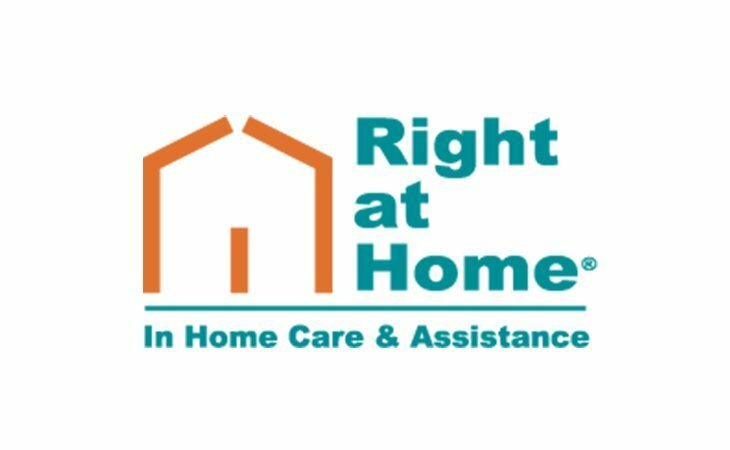 What should caregivers and potential clients know about Right at Home Boca Raton, FL?